Sprite wearing a robe and wielding a very large knife. Where is the light coming from? It seems to be coming from the viewer (like a flashbulb), but the sleeve, knife, and shoes don't seem to agree with that. You seem to be doing a milder version of pillow shading - shading around the edges of the object instead of thinking about the light source and the 3D form of the object. 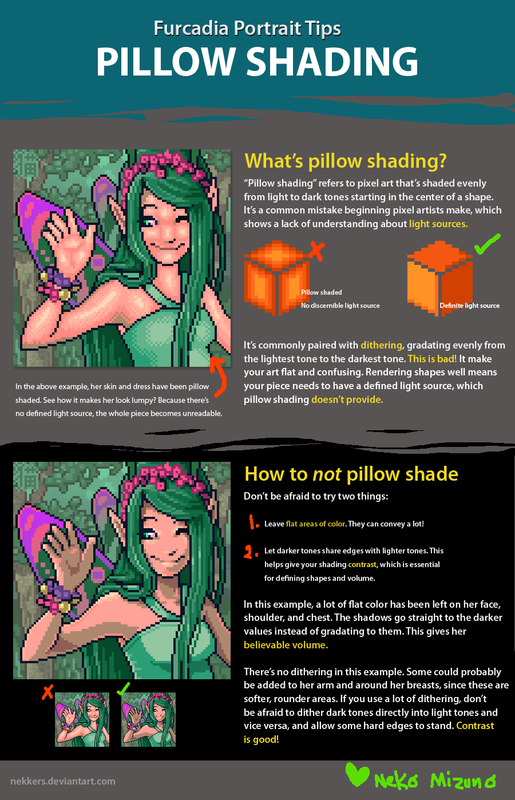 Here's a pillow-shading tutorial that addresses the subject and has some tips on avoiding it.